Sasha Arms is a respected freelance journalist and founder and editor of Hungry Nomad. Known for getting caught up in travel experiences that veer toward the bizarre (from wangling her way into a Latin America prison and being bitten on the backside by lion cubs in South Africa), Sasha offers a fresh and unique perspective in her travel reviews. After a recent trip to Alentejo in south central Portugal, I have become one of the region’s most enthusiastic advocates. I recommend flying to Lisbon and spend a day or two exploring the city and then head south for the coast. The region is all about getting sucked into Portuguese life and exploring. To reach Alentejo from Lisbon, you just need to cross the River Tejo. In fact, “Alentejo” quite literally means “beyond the River Tejo.” It’s by far Portugal’s largest region, yet is home to just 6% of its population. It’s also rumored to be the region where people are at their laid-back; the Portuguese would drive through Alentejo on their way to the Algarve for the holidays and watch the locals sleeping under the trees as they passed. It’s not exactly the claim to fame that the region might be looking for, but that hasn’t reversed the emerging trend for Portuguese city dwellers to have their holiday homes in here. Alentejo, it seems, is very much in vogue. 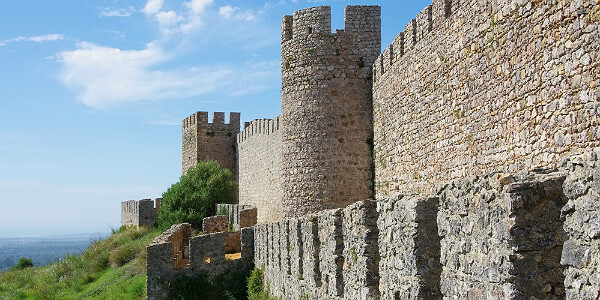 Once you’re beyond the River Tejo, one of the first stops you must make is Setubal. Don’t hang around – get straight on a boat tour on the Sado estuary to find what is reputed to be the last surviving pod of wild dolphins in Europe. At the last count there were just 25 in the pod, and the boats will pretty much always be able to find them on a tour. Once you have given up on trying to take a photo at precisely the moment the dolphins jump out of the water, you can sit back and soak up the atmosphere. What’s more, you could be straight off the plane in Lisbon in the morning and out dolphin-watching a few hours later. Now that’s not too shabby, is it? Filled with cork and olive trees, and plenty of vineyards, traversing along the Alentejo coastline feels very much like the real Portugal. You’ll without a doubt come across more Portuguese people than foreigners along the way, unlike the Algarve, and a trip of this kind can pretty much revolve around sampling the local food and wines alongside the locals, exploring different tracts of the coastline, meandering around perfectly formed towns and villages, and staying in farmhouse-style accommodations. Make your first stop Grandola. The Barradas da Serra Estate is just outside of it and is rural accommodation at its best. The rooms are cool and decked out in marble and natural tones, while the pool is a very welcome addition for the typically roasting hot days. The estate is large and there are four trails for you to follow. If you’re looking for a remote and peaceful holiday, you could easily stay here for a week or two. The best restaurant in town, by common consensus of the locals, is the Talha restaurant. Local olives, breads and wines accompany perfectly cooked meats and fish and another local delicacy – freshly made chips! Continue farther south to the picturesque, castle-endowed town of Santiago do Cacem and you’ll find yet another traditional Portuguese town that’s full of charm and soul. If you prefer a town center stay to the more rural stay that somewhere like the Barradas da Serra Estate offers, then check out Caminhos de Santiago. It’s a design hotel and is by no means to everyone’s taste with its quite daring adornments … but I was definitely in the “love it” rather than “hate it” camp. Lazy lunches are all part of the vibe in Alentejo, and at this part of the trip, you are a stone’s throw from the beach again. Make the most of it by having a long lunch at Arte e Sal restaurant in Sao Torpes. You will not leave disappointed, especially if you go with the chef’s recommendation and take the fresh fish of the day. Another highlight of the Alentejo coastal region is Vila Nova de Milfontes, which means “the town of a thousand fountains” but is also known as “the town of lies”; it never had a thousand fountains and was never a town! The views of the Mira River meeting the sea are fairly spectacular, while the food in the Tasca do Celso restaurant is yet another example of some of the best home-style cooking in Portugal. Stay at another rural spot at the Tres Marias for more of Portugal’s countryside peace. If you get chatting to the owner, you’ll hear all about the property’s eclectic history, from its days as a cattle farm, an ostrich farm, a restaurant and finally a guest house. Ask him his reasons for not installing a swimming pool as well – it makes for a pretty good chuckle over breakfast. Having discovered Alentejo, there’s little doubt that I’ll be going back again. And doubtless again after that. Just don’t tell too many people about it. It’ll only stay special if you don’t go shouting about it from the rooftops. How To Get There: As noted above, Lisbon Portela Airport (LIS) is the ideal airport to fly into, as a jumping off point to the Alentejo region. It is serviced by over 30 domestic and international airline, including British Airways, United Airlines and US Airways. Information regarding area transportation is available here. Best Time To Visit: For the most part, Portugal enjoys great weather throughout the year thanks to its sub-tropical Mediterranean climate. Most tourists prefer to visit during the spring and summer. Cost-conscious travelers may prefer to visit in the off-peak season as airfare is typically cheaper and hotel deals are much more common. 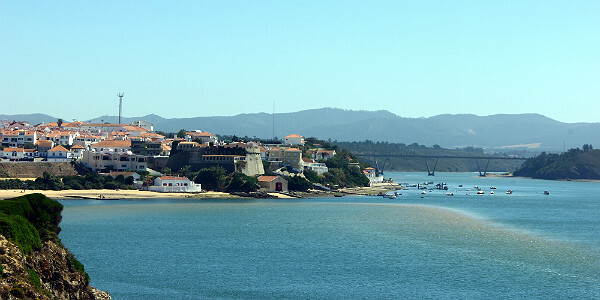 Plan and book your trip to Portugal with team of expert consultants who specialize on Portugal.